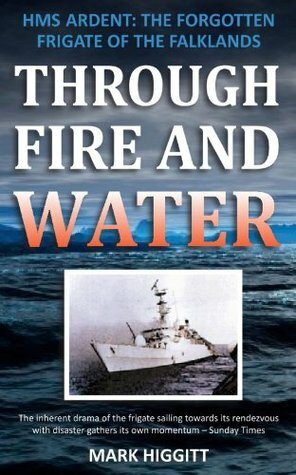 This was a very long & detailed account of the few months in the life of a Royal Navy Type 21, prior to her sinking in May 1982. This action actually forms only a portion of the book. This bit is very good and very illuminating, if a little disturbing at times as the casualties were anything but fictitious. I found the protracted discussion of the thirty years (ish) since Ardent's sinking & the effect that this had on the ship's company somewhat tedious, but my biggest criticism was that there were so many references to naval slang, great if one is "in the know", but damned annoying otherwise, particularly when they are not explained. Also, there were a huge number of characters & I, for one, was totally confused most of the time. It could be argued that this was inevitable as the ship's company consisted of about 200 men. Whilst I appreciated the idea of a very detailed and people-focussed history of the ship and its role in the Falklands conflict, I felt the result was sadly too long and hard to follow.A huge amount of research has clearly gone into it, but I found the format of trying to tell so many stories made it very difficult remember who was who and what they did. It would have been better if the author had picked half a dozen crew and told the story through their eyes.